Visit all 830 web pages with thousands of pages of information! My first web page was created September, 1997. They were re-done beginning in June, 1998, and completed in August, 1998 separating nine pages into 46 pages (and 3 out of order pages with link to new page). I recently put up the old July 1998 version of my web site with nine pages on this subdirectory for fun. Since then, more pages have been added as well and others have been separated. In early 1999, pond and aquarium care pages were separated from two pages into nine pages. This was all to make the pages more user-friendly (shorter). On 3/21/01, I created my 100th web page! These pages may not be fancy but that is because I use HTML code in WordPerfect 6.0 to write them and use no special programs to make these pages! Robyn's most-often visited page (until 2003) was Robyn's Fishy Page which had over 73628 visitors from 9/97 to 6/03! Considering there were 136 pages (6/03) mostly without counters, the total number of visitors to Robyn's various pages was most likely well over 100,000. On 5/3/03, I registered the URL fishpondinfo.com. On 8/30/03, I bought hosting for it. The grand opening of this new and updated site was on 10/4/03! Thanks for visiting! On 3/20/04, I opened the Fishpondinfo Store so be sure to check it out! If you buy something fishy, it goes to pay for the cost of this website. I also started an Amazon store on 9/1/06. Thanks! I made my 200th page on this site on 3/30/04! I think there are about 235 separate URL's on my site as of 11/11/04 but I may be off by a few! My 300th page went up on this site on 2/11/06. My 400th page went up on 1/13/07. I recounted my lists of files and found I miscounted and fixed it up to 418 pages on 1/20/07. I passed my 600th page on 9/12/09. The site passed a million unique visitors since moving to Fishpondinfo.com by Thanksgiving 2004. Fishpondinfo hit 2 million unique visitors on 8/1/05, gaining a million in just 9 months! On 2/18/06, my counter went over 3 million visitors, gaining a million in 6.5 months. I wonder what my total hit counts were from 1997 to 10/03 when it moved (I did not have a full site counter then). I had to switch from the counter we were using to counts from the server which may count each page opened instead of each visitor. Due to this, by 6/10/06, the count passed over 4 million. The counter was redone in a different way (actual hits not unique) so it went up faster and passed 5 million on 9/2/06 and 6 million on 12/16/06 and 7 million on 3/17/07. Wow, how can it go up that fast? I am using the hits (not unique) from my server for those numbers. It went past 8 million on 5/26/07. The hits totaled over 9 million by 8/4/07. It was 10 million by 10/27/07, 11 million by 2/17/08, 12 million by 6/9/08, 13 million by 9/27/08, 14 million by 2/21/09, 15 million by 6/20/09, 16 million by 10/31/09, 17 million by 4/3/10, 18 million by 7/24/10, 19 million by 12/11/10, 20 million by 6/11/11, 21 million by 12/10/11, 22 million by 6/8/12, 23 million by 8/25/12, 24 million by 11/3/12, 25 million by 2/23/13, 26 million by 4/21/13, 27 million by 5/20/13, 28 million by 7/6/13, 29 million by 10/12/13, 30 million by 3/15/14, 31 million by 6/7/14, 33 million by 12/20/14, 34 million by 5/18/15, 35 million by 6/28/15 (really, one month? ), 36 million by 11/7/15, 37 million by 4/30/16, 38 million by 10/3/16, 39 million by 4/18/17, 40 million by 9/27/17, 41 million by 3/10/18, 42 million by 6/18/18, 43 million by 7/21/18, 44 million by 9/22/18, 45 million by 11/20/18, 46 million by 12/26/18, 47 million by 1/30/19, 48 million by 3/3/19. I started a web site at http://www.pondshowcase.com that officially became functional on 8/5/06 after many months of work. This site lets people show off their ponds. Introduction - Information about Robyn and her web pages, a note about the counters and last updated notations, linking to Robyn's web pages, linking to your web page, using information on Robyn's web pages, and how Robyn ended up with so many animals and ponds! Other Information - computer games, soap operas, links, etc. Each section on animals, fish, and ponds includes information on my animals, how to care for them, where to get free catalogs, links, and a lot more! Visit my Animal Index to learn about the animals that I have kept including anoles, cats, crickets, dogs, rabbits, guinea pigs, dwarf Siberian hamsters, African pygmy hedgehogs, roaches, sailfin lizard, pygmy chameleon, curly-tail lizard, hermit crabs, wild turkeys, chickens, mealworms, turtles, and wildlife. Information on my animals, their care, and links to good sources are included. A discussion of breast cancer as it affected and killed one of my cats and one of my rabbits is included. Also, the effects of pasteurella on my rabbits and diabetes and kidney failure on my deceased cats are discussed. Visit my Fish Index to learn about my 65, 50, 20, and 5 gallon setups and all sorts of information on fish and aquarium care, breeding, books, and links. Specific information on the care, descriptions, sexing, and breeding of algae eaters (Siamese algae eaters, false Siamese algae eaters, flying foxes, and Chinese algae eaters), bettas, bluntnose minnows, bristlenose plecostomus, corydoras habrosus, dawn tetras, fire bar danios, glowlight tetras, goldfish, guppies, honey gouramis, koi, mosquito fish, neon tetras, orangethroat darters, orfes, otocinclus, Ozark minnows, panda cories, paradise fish, common plecostomus, red shiners, rosy barbs, rosy red/fathead minnows, Southern redbelly dace, white cloud mountain minnows, zebra danios, and more is included! I have bred (well, actually, they did it!) goldfish, rosy red minnows, fathead minnows, danios, white clouds, panda cories, guppies, mosquito fish, orfe, paradise fish, red shiners, and glowlight danios. The care and breeding of rosy red and fathead minnows are covered in depth. Visit my Pond Index to learn all about my 1800, 50, and 16.5 gallon ponds, two 20 gallon tub ponds, 20 gallon indoor pond, 50 gallon lotus tub pond, 153 gallon liner pond, 2 gallon pot pond, 20 gallon mosaic pond, their setups (including inventories), care, and inhabitants. A list of places to call to get free pond catalogs is included as well as books and links. Dozens of pages of information on pond fish, turtles, amphibians, aquatic insects, snails, microorganisms, algae, and much more is included. A list of pond plants includes scientific names, whether the plant is native, planting depths, plant heights, zones, sun preferences, flower colors, prices from six catalog companies, and which plants I have tried. These pages include answers to all those pond questions that are hard to find on the internet! Also, check out my free newsletter, my book, Robyn's Pond Book , and my pond blog! Here are some non-animal-related web sites. You should visit my brother's homepage. It includes a few shareware games which I helped him create. You can download them and have hours of fun! The games include a move-based war strategy game called Tank Regime for two players. I helped with the error checking, graphics, and sounds. Also, he has a program which allows non-programmers to create adventure games. It is called GAGBI (graphic adventure game builder for idiots). I wrote a game using it. UMBC deleted both our accounts by 2006, and my brother has yet to put his web site elsewhere so the link below is to an archived version. Note that many of the rings that I joined in the past may no longer exist so do not be surprised if some links no longer work. The internet pond society below no longer exists but I cannot bring myself to remove it. I have left it for posterity! This IPS Ring site is owned by Robyn's Fishy and Pond Pages. This Aquaria Web Ring site owned by help@fishpondinfo.com. is owned by Robyn Rhudy. 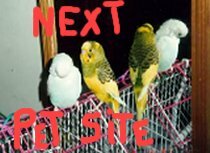 This The Pet Connection site owned by Robyn Rhudy. Fill in the word or words you are looking for in the box at the top of any of my web pages for a new and quick way to search all my pages. For more search information, see my search page. This page used to have a counter. The final count from 9/25/00 to 9/27/03 was 9203. The server reset the counter on 9/25/00. The last recorded hits was 2679 on 9/1/00 since March 1999. The server reset the counter sometime in early March of 1999 for an unknown reason. The last recorded count of visitors to this page at that time was 3168 between 9/22/97 and 1/14/99.